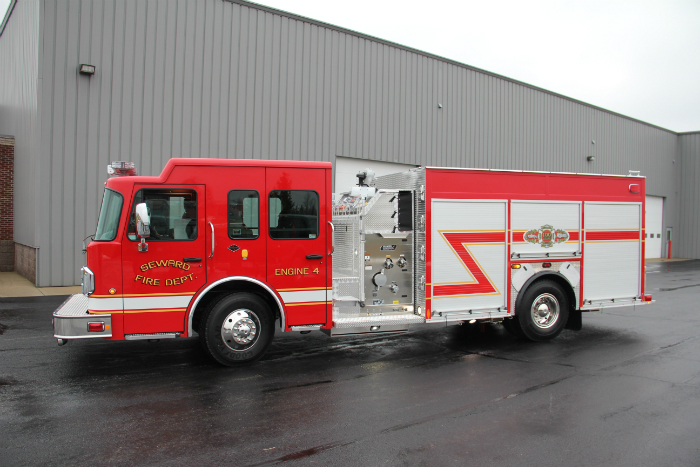 This Spencer Top-Mount Pumper, located at Seward Fire Department in Seward, Alaska, demonstrates the capabilities and quality workmanship of Spencer Manufacturing. 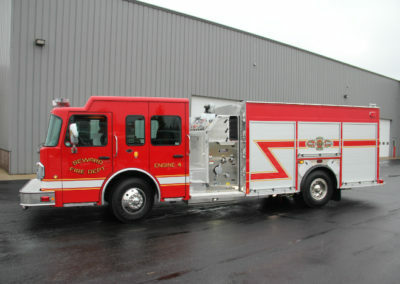 This truck is powered by a Spartan Metro Star 4-door Chassis with a 450hp Cummins engine and 3000 EVP Allison transmission. The pump is a Hale DSD150-23X 1500 gpm Pump with a Foam Pro Foam System. This truck also exhibits a 10KW Smart Power Hydraulic Generator, Gear Grid Tool Board, FRC telescoping lights and ROM Roll Up Doors.